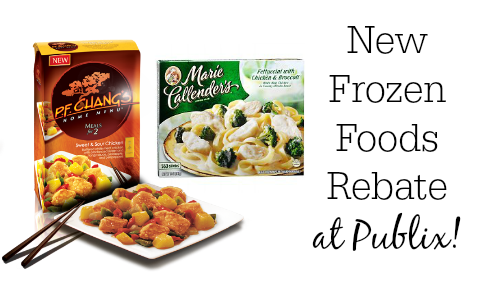 There is a new rebate available on frozen foods on Publix! This makes for a fun deal on P.F. Chang’s, Marie Callender’s, and more. Like getting it all for $9.46 or $1.18 each! The deal is available 2/4-2/10 or 2/5-2/11. Note: there is a limit of 5 rebates per household.